The R3111x series are CMOS-based voltage detector ICs with high detector threshold accuracy and ultra-low supply current, which can be operated at an extremely low voltage and is used for system reset as an example. The R2043x is a CMOS real-time clock IC connected to the CPU by four signal lines, CE, SCLK, SI, SO, and configured to perform serial transmission of time and calendar data to the CPU. The R1515x series are CMOS-based positive voltage regulator (VR) ICs featuring 50mA output current. 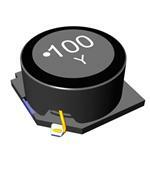 The R1515xxxxB has features of high input voltage and ultra-low supply current.